Develop a passion for God's global purpose by discovering your place in His global plan! 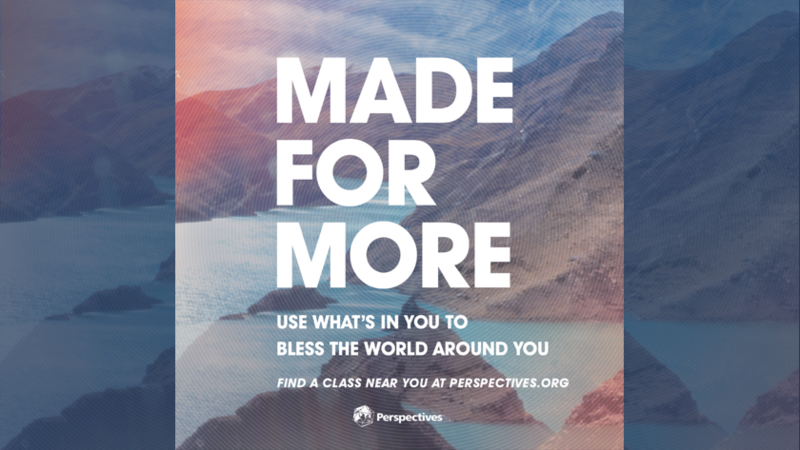 Perspectives is a fifteen week course designed around four perspectives: Biblical, Historical, Cultural, and Strategic. Each one highlights different aspects of God's global purpose. The Biblical and Historical sections reveal why our confidence is based on the historic fact of God's relentless work from the dawn of history until this day. The Cultural and Missional sections underscore that we are in the midst of a costly, but very "do-able" task, confirming the Biblical and Historical hope. Still not sure? First TWO NIGHTS are FREE to check out the course and the dynamic speakers. You can register now as “First Night Free” with no payment required. Alumni can attend the entire course for FREE but still need to register if you plan to do so. Note: Alumni cost for the intensive is $150 including week-long breakfast, lunch, and dinner.